Zelboraf, which targets the mutated BRAF gene, is used to treat melanoma, but it isn’t always successful due to melanoma’s ability to sometimes get around the inhibitor. Now, scientists have a better idea of the mechanism behind the melanoma resistance. By examining the exome, researchers found that the mutated BRAF gene driving the cancer becomes amplified by the drug, essentially outnumbering the inhibitor. Now, researchers at UCLA’s Jonsson Comprehensive Cancer Center have uncovered how an advanced form of melanoma gets around an inhibitor called Zelboraf, which targets the mutated BRAF gene. 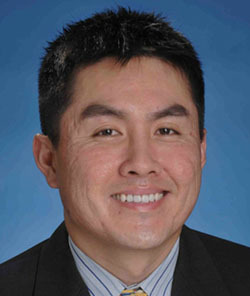 “Understanding and solving the problem of how cancer gets around targeted drugs is arguably one of the highest priorities in modern-day cancer medicine,” said the study’s senior author Dr. Roger Lo, an assistant professor of dermatology and of molecular and medical pharmacology and a Jonsson Cancer Center scientist. “In this study, we found that in some patients, the cancer simply makes more of the target, the mutated BRAF gene, so that the drug dose becomes too weak to fight the cancer. Lo said there’s an experimental drug that also inhibits mutated BRAF which may be effective against this form of melanoma at a dose that does not result in substantial side effects. In that case, an oncologist might have room to increase the drug dose once a relapse driven by BRAF amplification is encountered in the clinic. “If we know what happens in every relapse, we can have a plan in place that will help us avoid or overcome resistance,” he said. Be the first to comment on "Examining the Mechanism Behind Melanoma Drug Resistance"